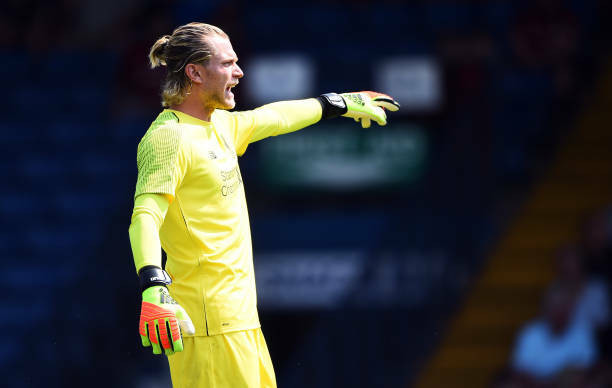 Loris Karius continues to be subject to speculation over his future at Besiktas despite joining on a two-year loan from Liverpool over the summer. There have been regular reports that Karius will be dropped and even sent back to Liverpool in January. There have been rumours that the Black Eagles are looking for a replacement over the winter transfer window. Additionally, there have been reports that Besiktas are unhappy with the keeper because of his off the field behaviour. Karius has allegedly been messaging women on Instagram and labelled a Casanova in Turkish press. Who Karius messages is completely up to him and as a single man messaging a single women on Instagram is hardly outrageous behaviour. Anyway, I made it clear that these rumours are complete nonsense in my latest piece for the Guardian last week. Besiktas president Fikret Orman has also came out and spoken frankly about the future of the 25-year-old. Orman made it clear that the Istanbul giants are happy with Karius and actually want to sign him on a permanent deal. “Karius is an excellent keeper, god willing we will sign him on a permanent transfer,” Orman said. “These stories are complete nonsense. “Karius is a great keeper, there are high expectations but I would just like to remind the doubters about Aboubakar. “At first they asked us where we found him? once he settled in everyone was upset to see him leave. Give Karius some time is all I’m saying. Karius was rested for the Besiktas draw against Genk in the Europa League on Thursday. The German keeper is expected to return to the starting lineup against Sivasspor on Sunday.